>>Replaces the blue Bumper on the Sky Track for lines less than 8mm. 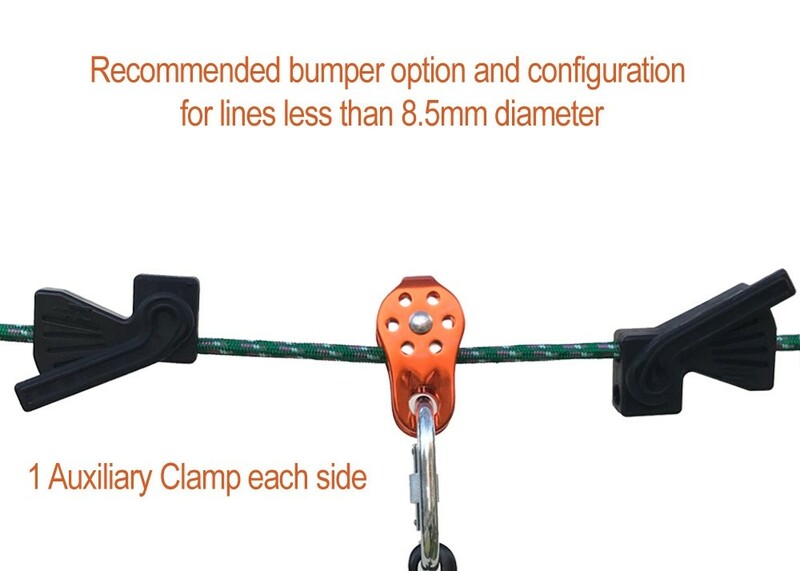 The Rope Clamp has three functions. 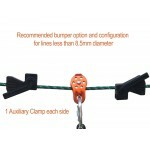 First, if the anchor point is too thick for the strap to fit around, such as a wide-base tree, you could use the clamp to secure the end of the rope once its wrapped around the tree. If you have a Strap that does fit around the anchor point, always use that instead. Bark is very abrasive and will eventually degrade the rope, which is the most valuable component of the Sky Track. Second, the Rope Clamp acts as a rachet in the senario above. It replaces both the Strap and Ratchet functions if you lose one or both. The Sky Track uses components with multiple uses for redundency in case you lose one of them while out on an adventure. Third, it can function as a rope stop by restricting pulley movement and can thus replace the Bumper if you happen to lose one. 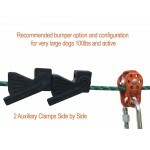 Use it to maintain distance from the anchor point, tree or post to prevent the dog from wrapping itself around it. For such high functionality, its a small extra price for good insurance. AS A ROPE BLOCK: Thread two of the Rope Clamps on the line using the longer channel (top channel) so that the flat ends are facing each other. Slightly lift the handle and push down gently. It doesn't take much pressure to secure the clamp. Once loose, you can move the Clamp up and down the line. 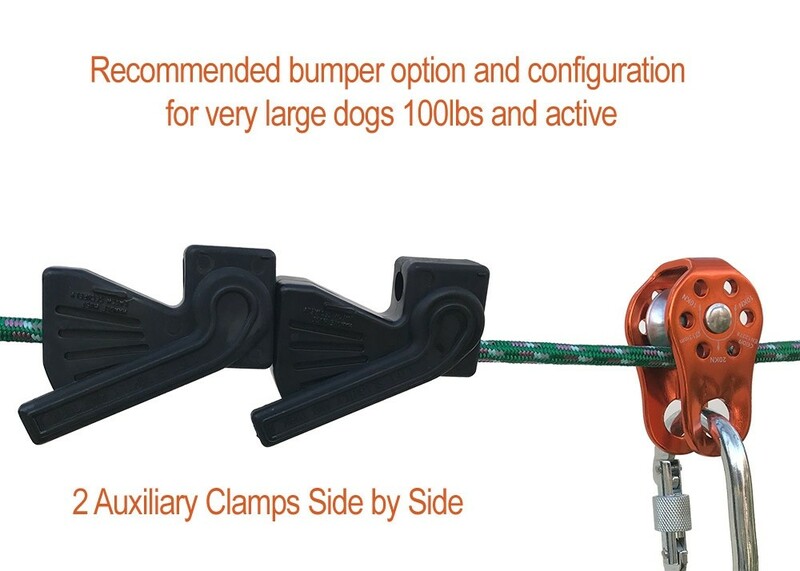 If you're using a 6" leash, set the clamp about 4 feet from the anchor points (tree, post, or pole) to help prevent your dog from wrapping itself around it. 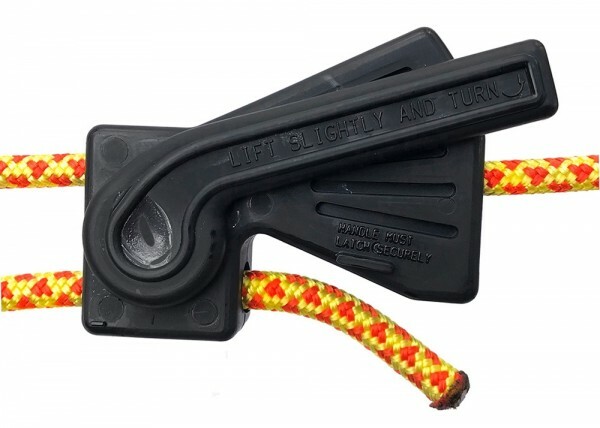 AS A ROPE CLAMP: If the anchor point, such as a trunk of a tree, is too wide to accomodate the size strap you have, the Toughman rope clamp can be used to secure the rope around the anchor point. First, thread the end of the rope through the longer channel of the clamp. Once you wrap the rope around the anchor point, secure it by threading it into the shorter channel and clamping the lever down in the shut position. Don't tighten the line using the clamp. Tree bark is very abrasive and will cause premature wear on the rope. Go to the other end and use the Nite Ize ratchet to tighten the line.